Alan began his piano studies at the age of 3. Throughout his childhood, he had a passion for music performance, composition and digital music. He attended Cardinal Carter Academy for the Arts where he majored in music. He furthered his studies at the University of Waterloo, taking courses in performance, music history and theory. 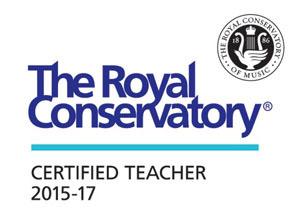 Alan completed his ARCT in Piano Pedagogy studying with James Fraser at the Royal Conservatory of Music. Alan was also a music pedagogy student of Boris Berlin. Alan enjoys performing a wide range of genres including classical, jazz and contemporary music. He is an avid composer and arranger and enjoys working with individual students as well as ensembles. Alan is a registered teacher with Royal Conservatory of Music (RCME #104401) and is a RCM Certified Teacher (Advanced Piano).